Olivier Rousteing is not only young (he's 25 by the way), super good-looking, but also gifted. His anticipated first Balmain show turned out to be fantastic. Still, there were lots of black leather, strong shoulders, and the usual gold embellishments. These belts are really going to be big. I can't get enough of how he mixes gold and white. Fierce looking outerwear, pants, and accessories in every look. The high-waisted pants are making a come-back. Love how he paired it with this embellished cropped top. Some body hugging shorts and cut-out leather skirts were also presented in the collection. And finally. The killer blazers. I hope to see Emmanuelle Alt in them asap. 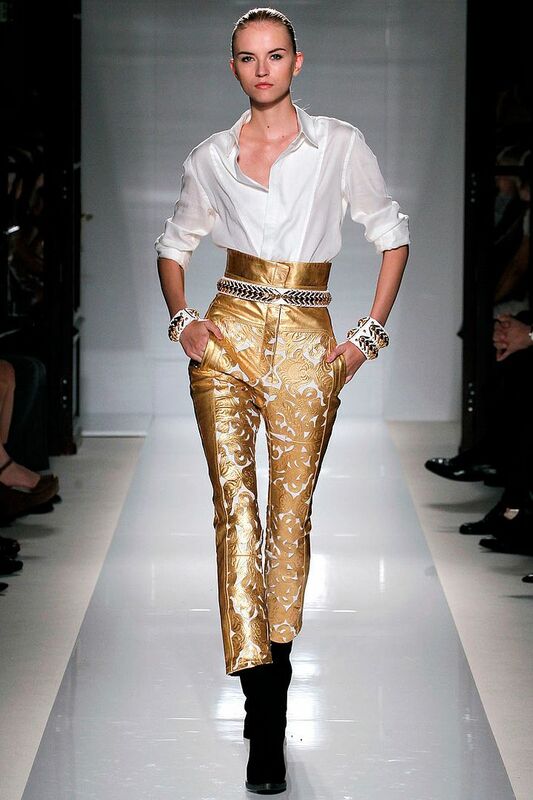 I LOOOOOOOOOOOOOOOOOVE BALMAIN! And this collection is a dream! If just that I have that amount of money to fill my wardrobe with Balmain.. Just if.. I adore those accessories to bits! such an intriguing collection !